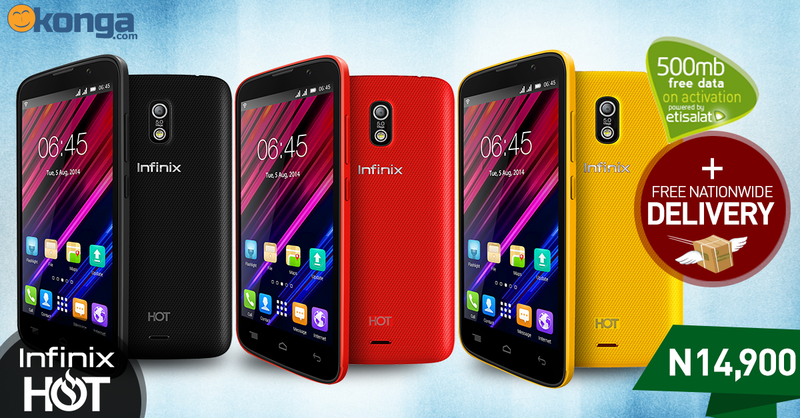 The Infinix Hot phone has been 'flying off the shelves’, this is your chance to have one of your own. It is available at the great price of N14, 900 - only on Nigeria’s largest online mall. Colours: Red, Yellow, Black, White and Green with unique texture design. Popular games such as Asphalt 7 powered by Gameloft. Pay on Delivery Now, Free Shipping Nationwide!